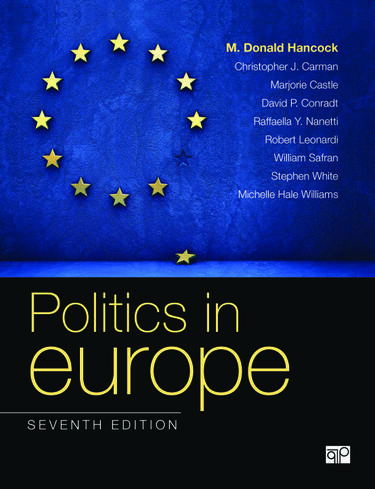 Politics in Europe, Seventh Edition introduces students to the power of the European Union as well as seven political systemsthe UK, France, Germany, Italy, Sweden, Russia, Polandwithin a common analytical framework that enables students to conduct both single-case and cross-national analysis. Each case addresses the most relevant questions of comparative political analysis: who governs, on behalf of what values, with the collaboration of what groups, in the face of what kind of opposition, and with what socioeconomic and political consequences? Packed with captivating photos and robust country descriptions from regional specialists, the Seventh Edition enables students to think critically about these questions and make meaningful cross-national comparisons.